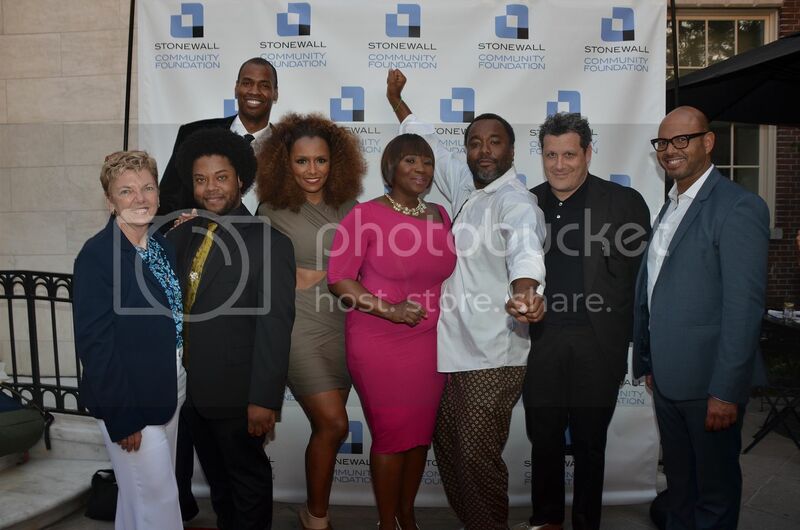 NEW YORK, NY – On Thursday, June 19, 2014, the Museum of the City of New York hosted the 2014 Vision Awards presented by the Stonewall Community Foundation. The signature fundraiser helped raise needed funds to support grantmaking to a wide range of New York City’s vibrant and diverse community organizations. Honorees of the evening included famed Oscar nominated film director Lee Daniels (Precious, The Butler), Brooklyn Nets’ Jason Collins, fashion icon Isaac Mizrahi, transgender rights activist and best-selling author Janet Mock, and director of the LGBAC Marching Band Marita Begley. While co-hosts Bevy Smith and Emil Wilbekin honored those who inspire social change, guests included Damon Peruzzi, Chef Roblé, Bravo’s Fashion Queens Derek J and Lawrence, and British singer-songwriter Daley, who provided a special performance. The Stonewall Community Foundation has invested more than $17 million in over 600 organizations. One of fifteen LGBTQ public foundations in the country, Stonewall works to strengthen the LGBTQ community by engaging and mobilizing donors as well as investing in dynamic organizations. Learn more by visiting https://stonewallfoundation.org/.